Meet the 2018 Ford Expedition SUV at Team Ford Today! For those who require seating for up to eight adults, plus all of their cargo, plus a towing capacity of over 9,000 pounds – only the 2018 Ford Expedition will do. This full-sized SUV is no ‘soft-roader’, but rather a proper body-on-frame juggernaut capable of taking you and your family anywhere you need to go.  Team Ford is proud to offer families across the Edmonton area access to this incredible machine. Just visit our New Vehicle Inventory to see the latest Expedition’s we have on offer. We also carry gently used examples in our Used Vehicle Inventory. Either way, you’re getting a whole lot of capability for not much money! Every 2018 Expedition is paired with Ford’s top-of-the-line 3.5L EcoBoost engine which has been revised to now produce 375 horsepower and a monstrous 470 lb-ft of torque. Connected to an all-new 10-speed transmission, not only has the Expedition’s performance increased – but its fuel economy as well. The Expedition is meant to combine the towing power of a pickup with the seating capacity of a minivan. The end result is a vehicle that can haul up to 9,200lbs when equipped with the Heavy Duty Tow Package. On the inside it can also carry up to 3,066 litres of cargo in the standard model, or up to 3,703 litres with the extended Max models. The 2018 Expedition is meant to be a sublime cruiser as well as a go-anywhere family hauler. That’s why it’s available with advanced technology like Continuously Controlled Damping (CCD) which adjust the shocks hundreds of times per second to keep the ride smooth. The Expedition also offers a Mechanical Load-Leveling Suspension which prevents squat when hauling heavy loads – resulting in a smoother, more comfortable ride. Discover everything the new Expedition has for yourself by visiting Team Ford today! We carry a variety of 2018 Expeditions in our New Vehicle Inventory, as well as lightly used examples for 2017 and earlier in our Used Vehicle Inventory. Either way, the Expedition is the perfect SUV for the family on the move!